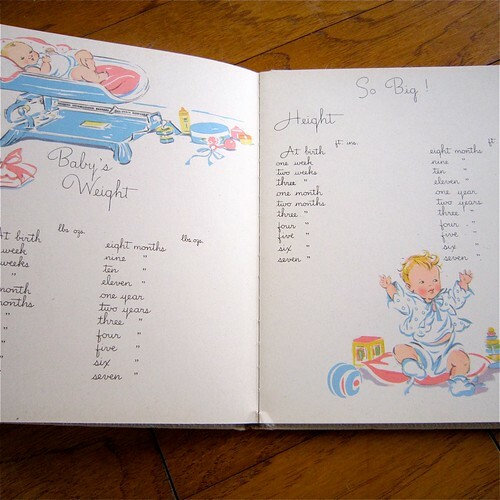 Choosing the perfect baby book can be a daunting task. That is probably why I bought 6 before Tallulah was born so I had plenty of choices. Sure I could have gone the Target, Babies R Us, random big box store route – but, that is so not me. Instead I went with vintage. I have two books that I use for Tallulah. 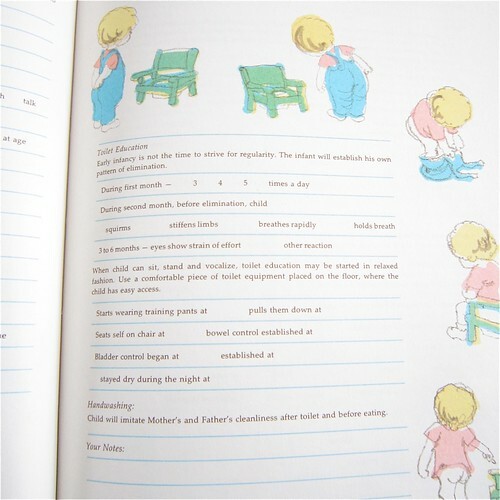 One is a traditional record keeping baby book. 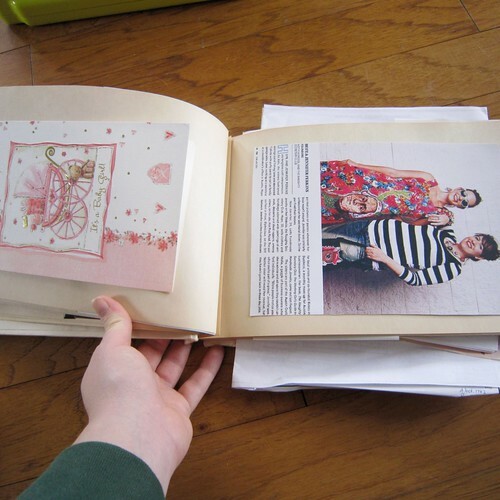 The other is a blank book to be used as more of a scrapbook. 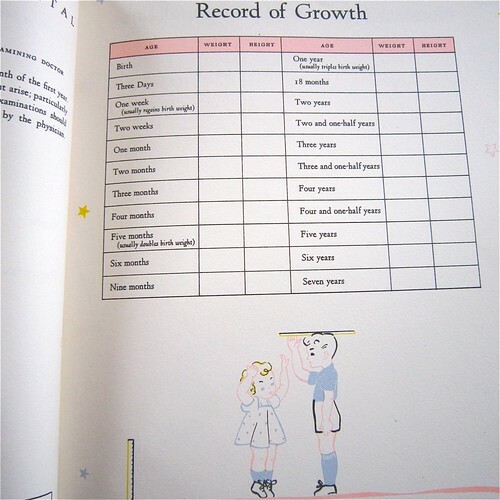 I love the chipper graphics from the 1950’s so this adorable little record keeping book fit the bill perfectly. 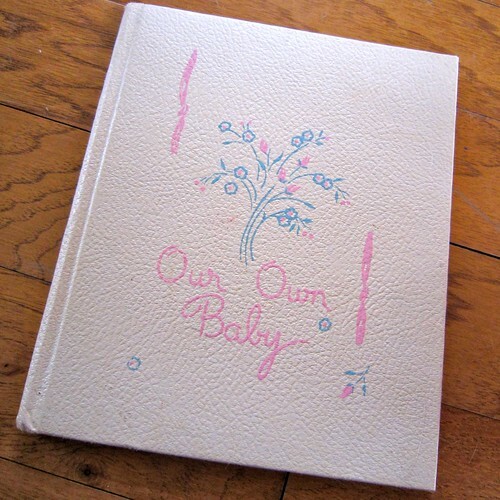 I admit I have not been as good as I had hoped about writing in the baby book, but for someone who has no baby book of their own something is better than nothing. With Baxter the next major life choice about baby books is upon me. I have 3 to choose from. If you are keeping track that means one book is missing and that is because I gave 1 to my friend Vickie to use for her daughter Clover. ANYWAY, back to my 3 choices. First up I have this groovy 70’s version. 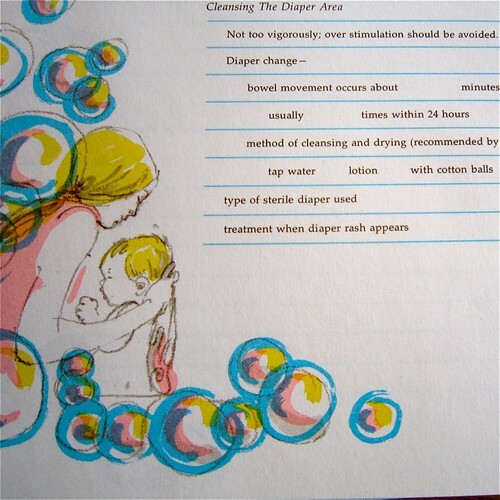 I used a graphic from this book to make my baby shower invitation for Tallulah. 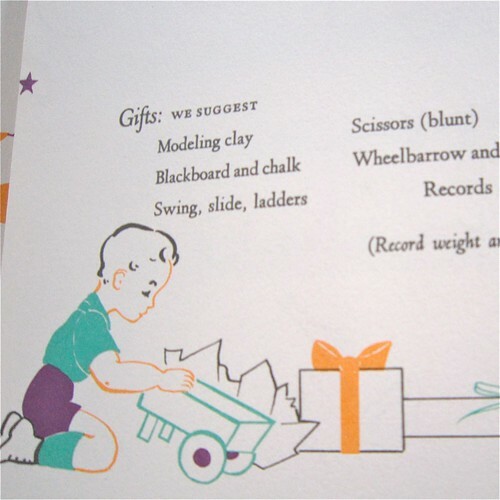 The next choice is a book from the 1940’s that looks as if it could have been my father’s baby book. 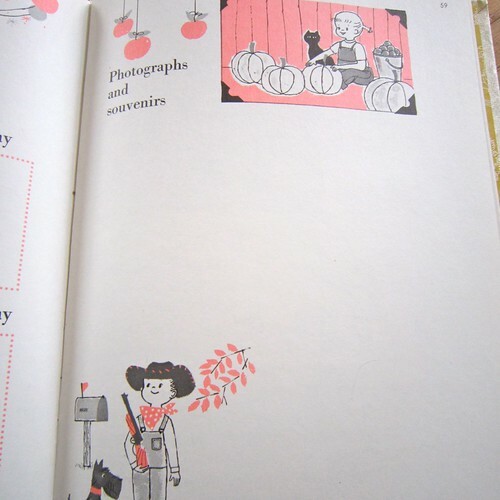 I love the illustrations and interesting color combinations. 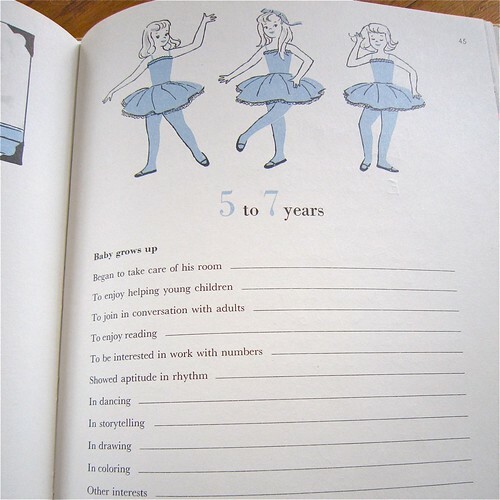 My last choice has most of the right qualities like cute graphics, fun colors and quirky little questions to fill out. The problem is that it is much thinner and smaller than the other books. 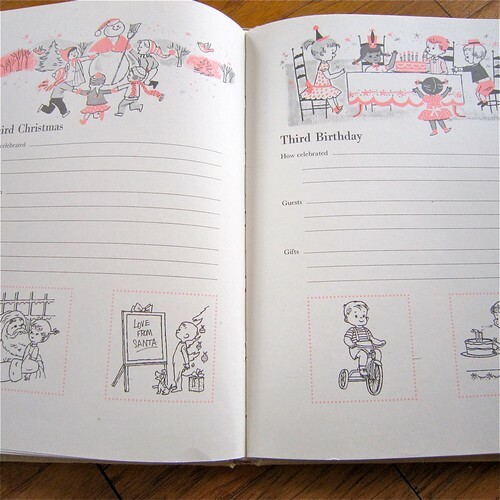 I can hear the second child comments already “you love Tallulah more than me, that is why she got a bigger book”. 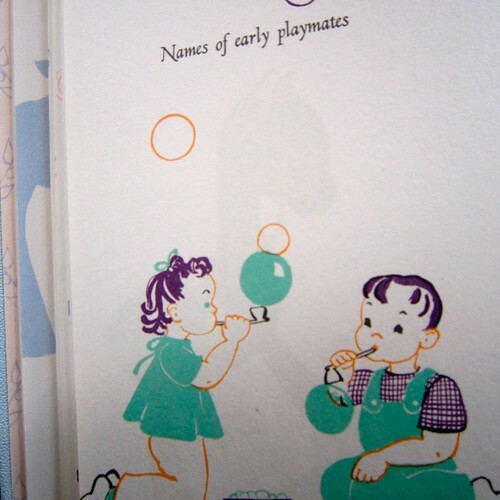 I have a younger sister, I know how this card gets played. Got a favorite? I’m taking opinions. 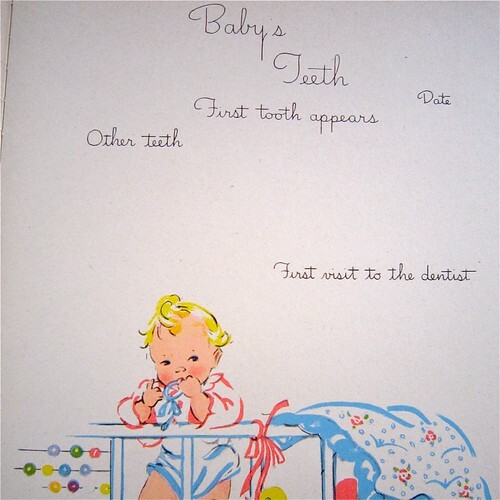 If you are looking for your own vintage baby book might I suggest Etsy. That is where I got all mine and a quick scan shows that they have several more. 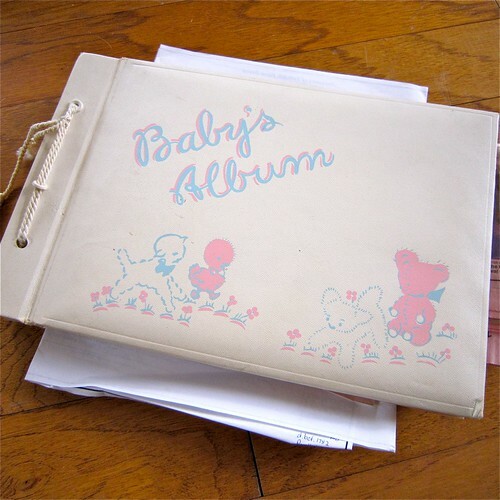 Where did you get your baby book? I’m sure these all came from the Big Box stores of their day and I’m not saying Target and Babies R’ Us does not have some cute ones. My friend just got an adorable handmade one on Etsy. So many choices, it’s enough to make a mom’s head spin. Posted April 26, 2011 & filed under Books, Kids. Such a cute idea! Where did you find them? Ebay? Vintage stores? Well ofcourse they are all fab….but I kinda favor the 70's one…it feels a little more little boyish…but I think its a great idea to poll folks cuz; I would have a hard time choosing too! 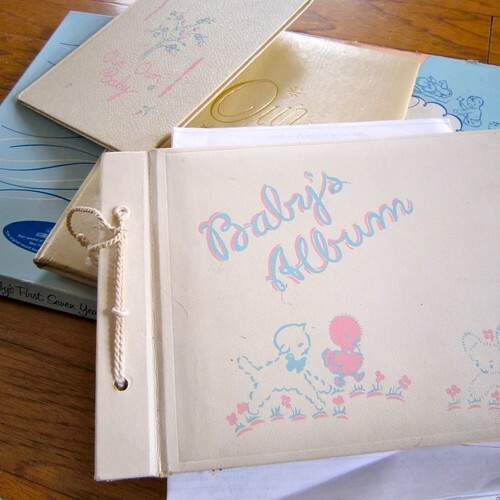 I only used one baby book (for my 14 YO)…yup I completely cheated the 8 year old! Cute! The 70's one reminds me of the one my mom started for me. I should go find it . . . I love them all!!! 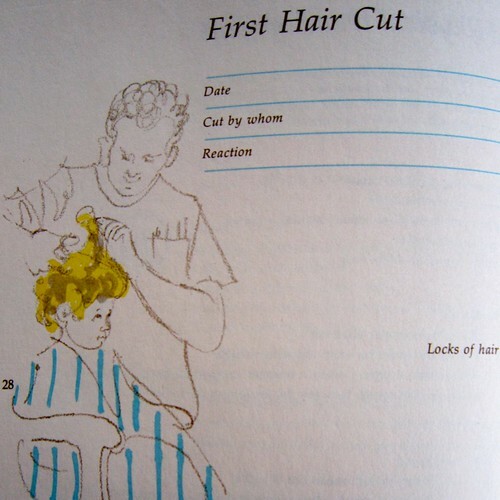 The one with the first haircut is the one my mom had for me back in 1979. 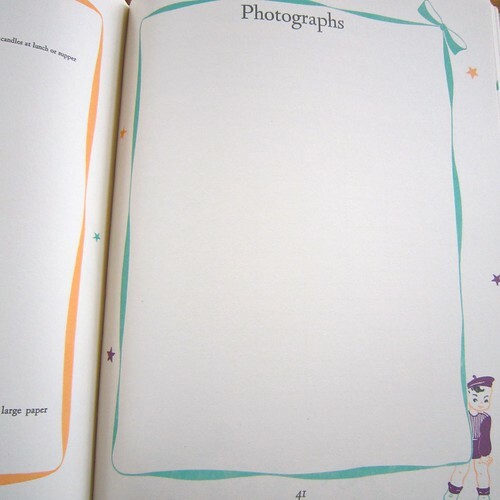 She only filled out like 25% of it though…and I've been lazy with my own kids' books just like her. I got a huge smile on my face seeing it on your blog today! 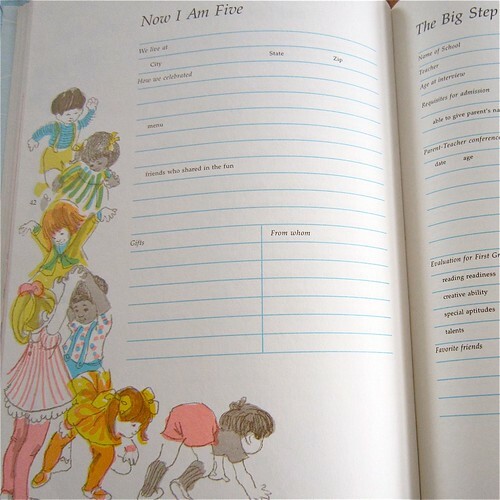 I read that book (well, the small portion she filled out) soooooo many times as a child.